In addition to the usual challenges common to early-stage companies, female-founded startups across Canada often face additional barriers to success. Along with inadequate access to capital-raising knowledge, female founders often struggle to connect to high-profile investors and find it difficult to find comprehensive support and mentorship programs. The Women in Tech edition of the Discovery Foundation Capital Mentorship Program is designed to help assist female founders with these growing pains. With the inaugural Women in Tech program concluding today, we identified plenty of standouts in the cohort. 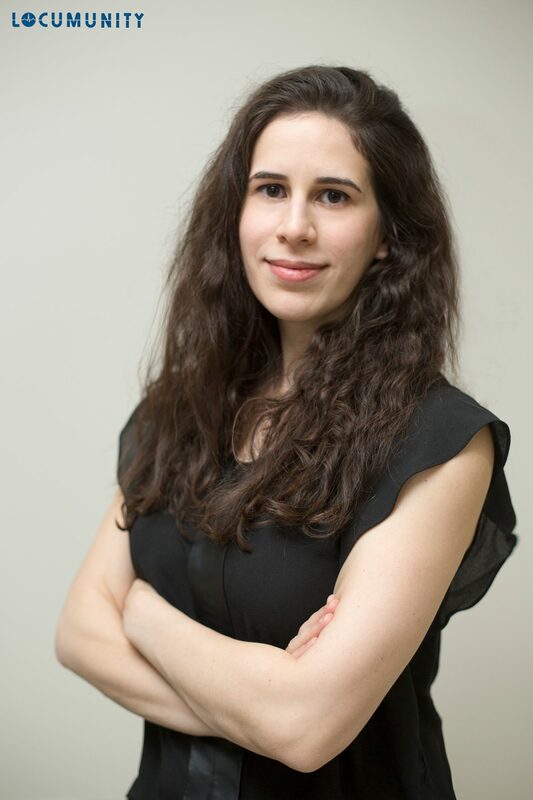 One of these entrepreneurial stars is the CEO and Co-Founder of Locumunity Dr. Haneen Abu-Remaileh, who has created an online marketplace that solves the problem of efficiently connecting freelance doctors with clinics in need. Currently one-third through fundraising their seed round, Haneen and her team are all too familiar with the ups and downs of capital-raising in the city. 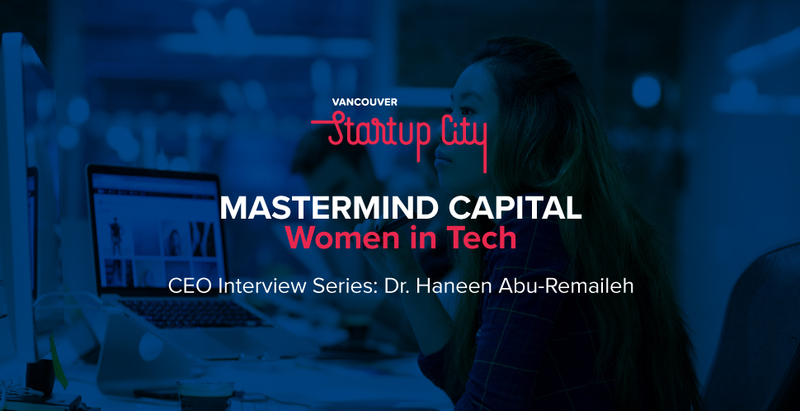 We recently caught up with Haneen to learn more about her exciting Vancouver tech startup and get her thoughts on the capital-raising ecosystem in the city. Q: Hello Haneen, thank you for taking the time to answer our questions today – we’ll jump right into it. Could you give us your best elevator pitch? What is Locumunity and what problem does it solve? Haneen: As a doctor, I noted that there is no cost-effective or efficient way for medical clinics to connect with job-seeking doctors. Locumunity creates an online marketplace that directly connects temporary doctors – termed ‘locums’ – with clinics, via a data- and community-driven platform. 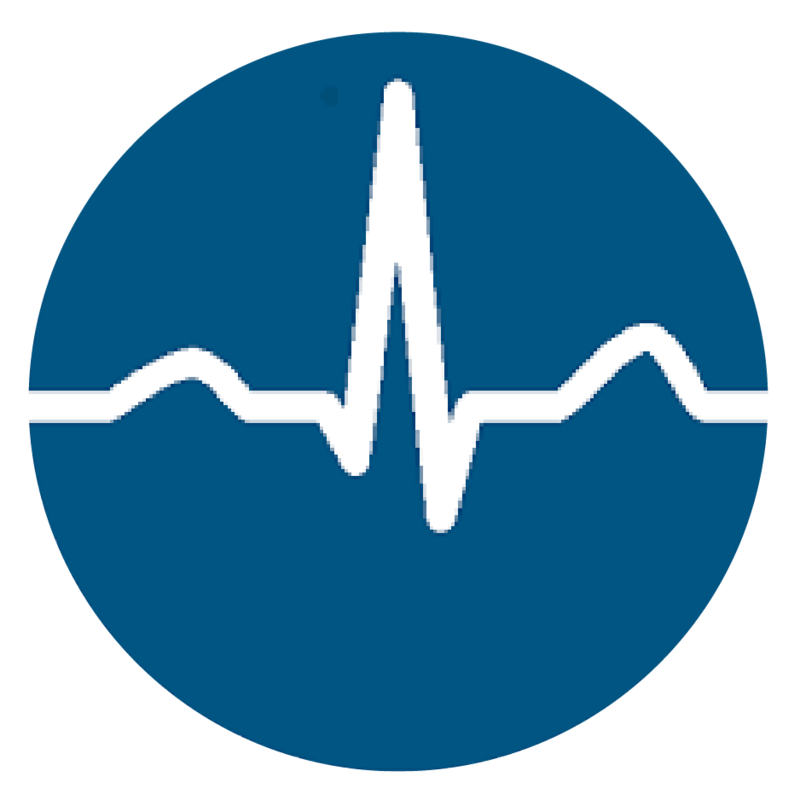 The temporary healthcare staffing industry is a $16 billion market in North America, dominated by expensive recruitment agencies. Through data and machine learning, we provide physicians with curated job matches and empower them to make informed career choices. We started full time on Locumunity in January of this year and already have 14 percent of the Canadian locum market. We’ve proven our transaction model in B.C. and are looking to start expanding into the US. Q: What made you want to quit your full-time job as a practicing physician and pursue entrepreneurship? Haneen: I started dedicating full-time hours to Locumunity in January of this year, as I realized that’s really what it takes for me to accelerate the company’s growth. However, it is also important for me to keep my medical license as it maintains my credibility, keeps me connected to the physician work force and actually helps build my business. As a locum, or freelance doctor, I occasionally pick up shifts on the weekends to maintain my license. It’s the beauty of the locum lifestyle! Q: And is that why Locumunity is such a passion project for you? Haneen: Medicine has been my calling all of my life and I love it. I see Locumunity as an extension of my role as a physician, solving a healthcare problem on a systemic level. Q: Your dedication is admirable. And you’ve had to make significant sacrifices to make this project a reality, including moving your young family to the U.S. to be in the TechStars Seattle Accelerator. Haneen: Yes, I had a toddler and a three-month-old baby when the Techstars Seattle program started in January 2018! My co-founders, first employee and family moved to Seattle, and we all lived in the same house. I was chronically sleep deprived (every parent out there understands), but the program was great. I was immersed in a mentor and resource rich environment for four months and learned a lot of pearls of wisdom from previous founders on how to build a two-sided marketplace. That sounds both fun and more than a little intense. Having not only community support but familial support is certainly integral to the entrepreneurship process. Haneen: Yes, definitely. Most successful entrepreneurs probably have a whole team of people and family supporting them. I couldn’t have gotten this far without the help and support of my husband, extended family and the Techstars Program. Q: So, fast-forwarding to today – where is Locumunity in the fund-raising process? Haneen: We are currently fundraising our seed round and have more than a third hard committed. My goal is to raise US$1.5 million, which will give us an 18-month runway and allow us to expand into the state of California. Q: What drew you to enroll in the Capital Mentorship Program? Haneen: I am a doctor by training, so I don’t have a business background. I am growing into my role as CEO by pushing myself beyond my comfort levels, and constantly learning and leveraging others’ skills and experiences. The Capital Mentorship Program is an opportunity for me to solidify my understanding of the fund-raising process while connecting with and learning from other founders who are at various stages with their companies. Q: In your experience, what are some of the biggest challenges that tech founders have in raising capital in Vancouver? Haneen: The biggest challenge I encountered was a gap in funding pre-seed and seed stage companies in Vancouver. Investors locally expected $20,000 to $50,000 in MRR (Monthly Recurring Revenue) before they’d consider investing in an early stage company, but startups need capital to get from pre-revenue to revenue at that level. That is what made us look to the U.S. for funding. Q: That’s a problem that other startups are likely to sympathize with; thank you for sharing. So, what do you think would immediately or significantly benefit capital-raising founders in the city? Haneen: Attracting more pre-seed and seed stage-friendly investors. Also, creating a more robust mentor network with various industry connections, that would allow startups to create strategic partnerships with Canadian corporations. Sound advice! We’re so excited to see how your company flourishes over the next few weeks in the Capital Mentorship Program. Q: So, what’s next for Locumunity? Haneen: I am excited to start our U.S. expansion later this month. The U.S. is a much bigger market and our path to profitability is much shorter there. Wrap up: And we are rooting for you and Locumunity, Haneen. Thank you for taking the time to share your thoughts and experiences. Sign up for the Vancouver Economic Commission newsletter to keep informed on upcoming applications. For more information on the Capital Mentorship Program, check out our website. Follow Dr. Haneen on Twitter at @DrHaneenMD. Learn more about Locumunity www.locumunity.com.